I am adding supports to a 3" drain line. Is there a minimum distance for hangers to allow movement? The line is 85 degress process drains. But height restiction is limited. I am adding a full restraint at certain intervals in the line but hangers in between. 1- What temperature scale is the 85 degrees, F or C? 2- What is the material and construction of the 3" line? 3- What is the commodity in the line? 4- What kind of structure or building is this? 5- Is this onshore or off shore? 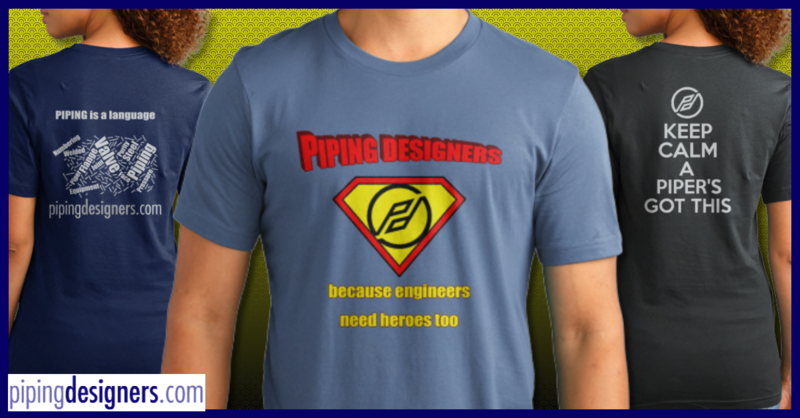 FYI, this is my post # 1000 on pipingdesigners.com but there is no prize, sorry. We are handicapped by not being able to see the complete routing (configuration) and all the potential hanger points. Based on the information I would only have lateral restrictions at the origin and the terminus points all other supports would be free to move and flex with the fluxing temperature. It is a simple drain and you do not need to make it complicated. The drains are Process Drains - Non Hazadous. The question is maybe misunderstood. The question was regarding the length of the hanger rods themselves. Is there a minimum length of hanager rod distance? My stress engineer believes that there is a percentage formula for minimum lengths.